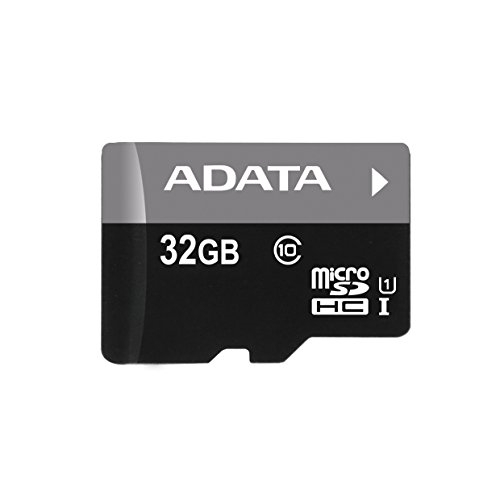 ADATA Premier UHS-I/Class 10 microSDHC/SDXC memory card offers cost-effective portable solution instantly boosting available storage space for your portable gadgets from smartphone, tablet, e-reader, digital action camera to high-flying drones. Enjoy recording high-definition (HD) videos, taking memorable pictures or simple task of transferring large video files freely with fast 50MB/s read performance. Built-in error code correction (ECC), water/shock/magnet/X-ray proof and capable to operate in extreme hot/cold temperatures, ADATA Premier UHS-I/Class 10 microSDHC/SDXC memory card provides tough all-weather reliable safekeeping of treasured memory or critical information.